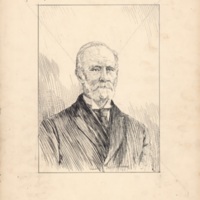 During the 1800s Honourable Sir William Young, former Chief Justice of Nova Scotia made a donation of $20,000 to helped finance the construction of the the "new" Dalhousie College. 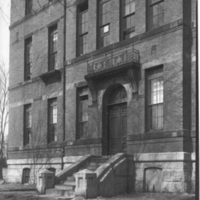 This building was designed by J.G. 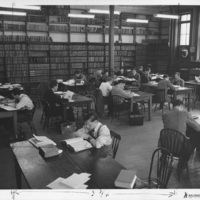 Dumaresq and the contractors were A. E. Milliken and Company. 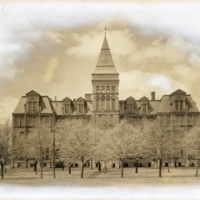 On April 27, 1887 the cornerstone was laid by Sir William Young and in September 1887 the building was completed. 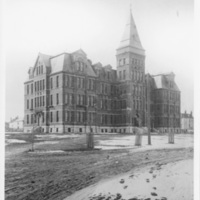 This new building featured an arts library and a museum, both convertible into classrooms, as well as a tower that was was 145 feet high. 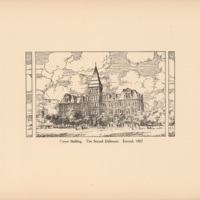 From 1887 until 1914 it was the only building on a Dalhousie campus and accommodated the entire university. 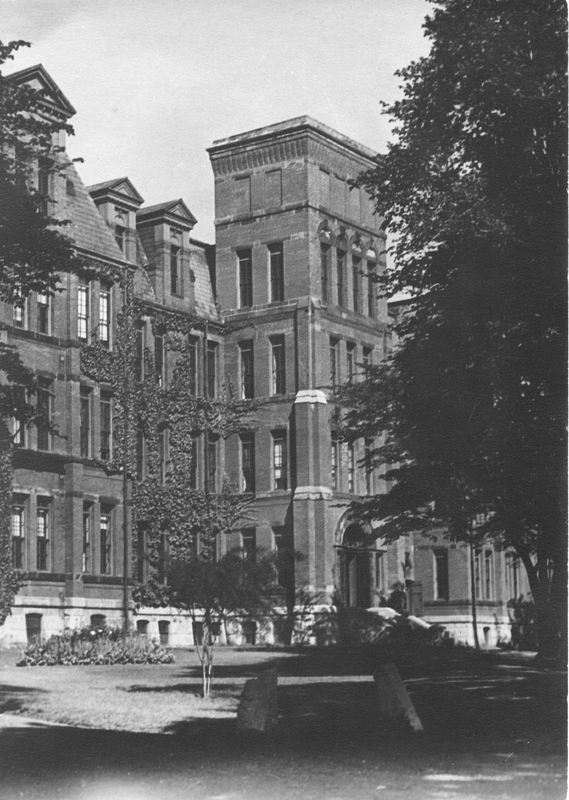 In 1919, with the development of the Studley campus, the building was renamed the Forrest Building after Dalhousie's third President, Rev. 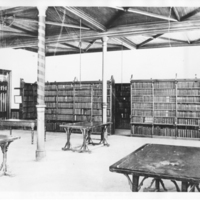 John Forrest. 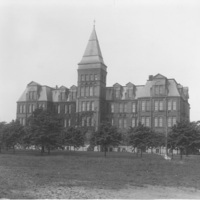 The land that the Forrest Building resides on is now known as the Carleton Campus. 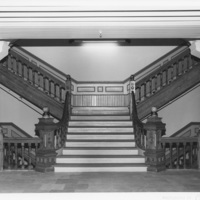 In 1921 the Forrest Building underwent repairs and alterations, and in years afterwards it had to be refurbished and renovated periodically to accomodate its changing occupants. 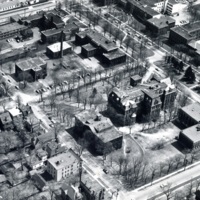 In 1979, the building had to be closed during construction on the Dentistry Building because it was feared the blasting would cause it to collapse. 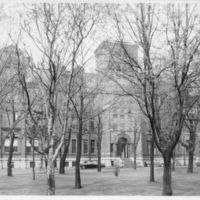 Refurbishment in 1983-1985, at a cost of $3.2 million, prepared the building to house the schools of Nursing, Physiotherapy and Occupational Therapy. 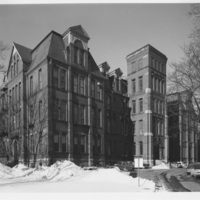 In 2002, a 5-year exterior restoration project began to restore the brick, windows, soffits, gutters, dormers, and shingle roof. 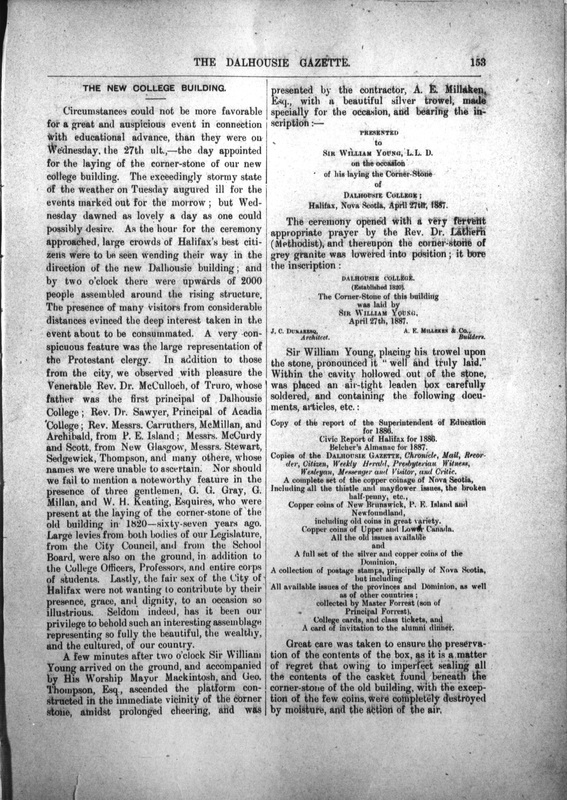 A description of the cornerstone laying ceremony for the new building on April 27, 1887. 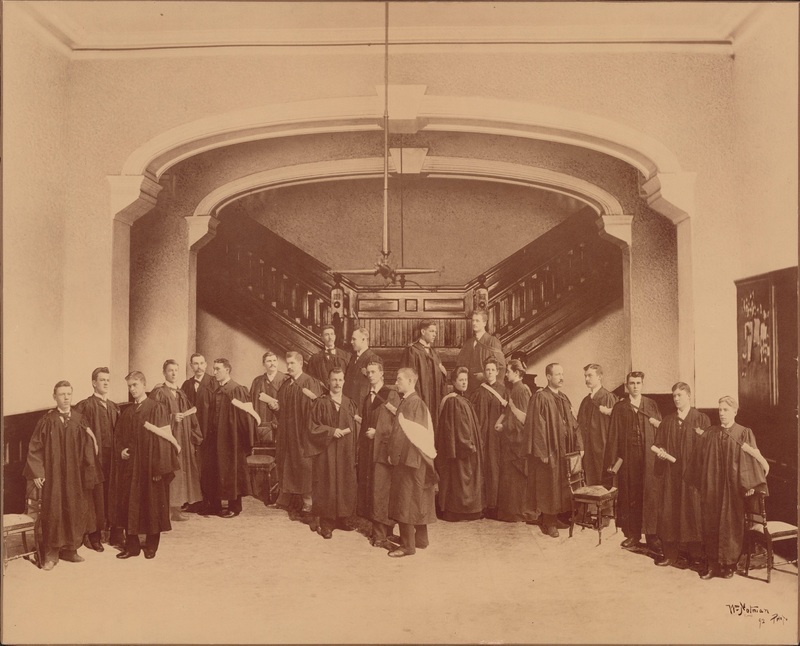 This composite photograph shows the class of 1892 standing in front of the Forrest Building's main staircase.